On Saturday March 6th in San Francisco, students of the Kwan Um Do Kwang School of Zen Sword were promoted in rank after demonstrating their skills. 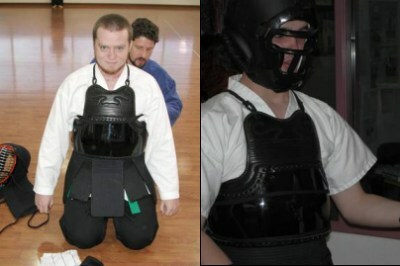 Students from the San Francisco, Berkeley and San Jose sword schools depicted their forms, demonstrated their fighting forms and participated in chanting and bowing with Headmaster KJN Marc Fortin. Of special note was the strong showing from the San Jose School, especially the two youngest warriors, Ruby Meyers and Samantha Ferrell. They showed great promise and potential to grow into fierce students and warriors. Also noteworthy was Timothy Williams? faithful depiction of the sword form "Sword of the East." 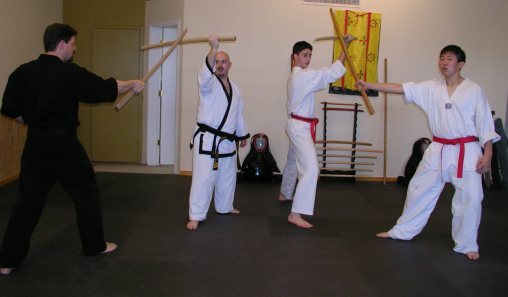 The next test will include Sword as well as Shin Boep (which is a weaponless form of self defense) and a public demonstration of blindfolded forms, higher level sword forms and interactive sword fighting. This will take place on Saturday April 17th at 1:30 pm in San Francisco. A celebratory Korean meal will follow immediately afterward. 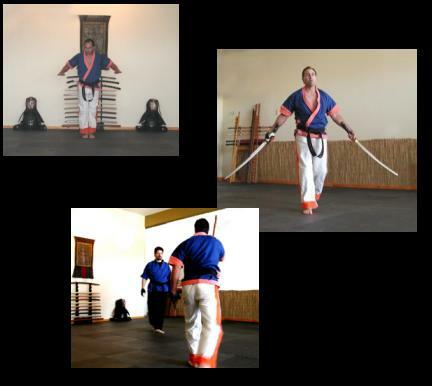 Sabom Nim Rich Julius held a 3-hour sword workshop in the Cupertino studio, sponsored by the Independent Martial Arts Confederation (IMAC). Nine participants, including four black belts from both Korean and Japanese martial arts schools, were introduced to the history of KUDK, learned basic forms and fighting drills, and learned the first sword form (kata). Below, testing new skills by free-fighting Sabom Nim Julius. 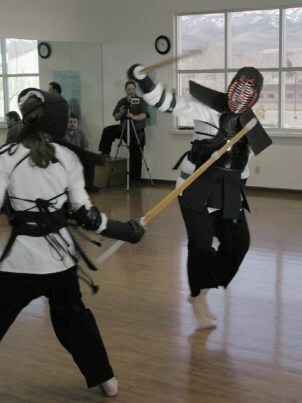 To celebrate the grand opening of the new Cupertino school, Master Fortin and instructors from San Francisco and the South Bay hosted a demonstration of sword, long stick, two-sword, shin boep, and self-defense techniques at the new KUDK center in Cupertino, California, on November 1, 2003. Master Fortin was invited to teach a series of sword workshops at the Tang Soo Do Lake Tahoe clinic, a weekend event that attracted over a hundred Tang Soo Do students, instructors, and masters from schools across the Northwestern Pacific. Sudents learned basic forms as well as special advanced forms, on a beautiful white sandy beach at the southwestern banks of Lake Tahoe. Master Fortin was assisted by Tang Soo Do Master John Bennet (who is also a KUDK black belt), Sabom Nim Rich Julius, and cho dan Anthony Hill. KUDK black belt candidates were welcomed as guests of the breathtaking Tae Go Sa temple (Mountain Spirit Center), a Korean Zen Buddhist temple under the direction of head abbot Mu Ryang Sunim of the Kwan Um Zen School. Instructors Gretchen Ramos and Rich Julius passed their third star (third degree black belt) tests, and received the title of Sabom Nim (full instructor). Anthony Hill from the San Francisco dojang also passed his first star. The free fighting tournament was again held at Master John Bennett's Tang Soo Do studio in Reno, Nevada. Zanaan Bennett provided a tumbling workshop before the sword tournament, and then went on to win the tournament. Nice job, Zanaan! 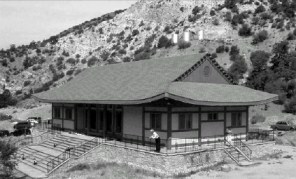 The Spring 2002 free fighting tournament was held at Master John Bennett's Tang Soo Do studio in Reno, Nevada. Over 24 participants from the Nevada and California clubs participated. 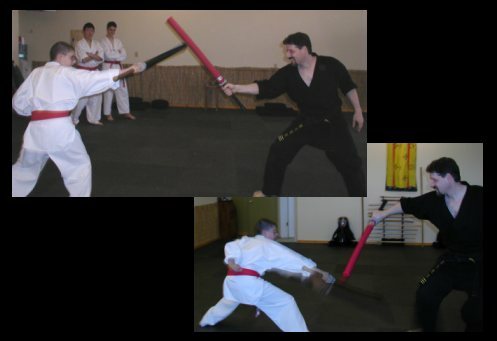 Longtime Zen Sword practitioner Steve Tynan defeated all challengers. Students from the University of Nevada at Reno held a belt test and semester "final exam." Zen Master Seung Sahn is called Dae Soen Sa Nim (Great Honored Zen Teacher) by his students. He is the 78th Patriarch of the Chogye order of Korean Buddhism, and is the founder of the Kwan Um Zen School. His books include Ten Gates, The Compass of Zen, Dropping Ashes on the Buddha, Only Don't Know and The Whole World is a Single Flower - 365 Kong-ans for Everyday Life.